"Five women in the Republic of Ireland request medication abortion every day." 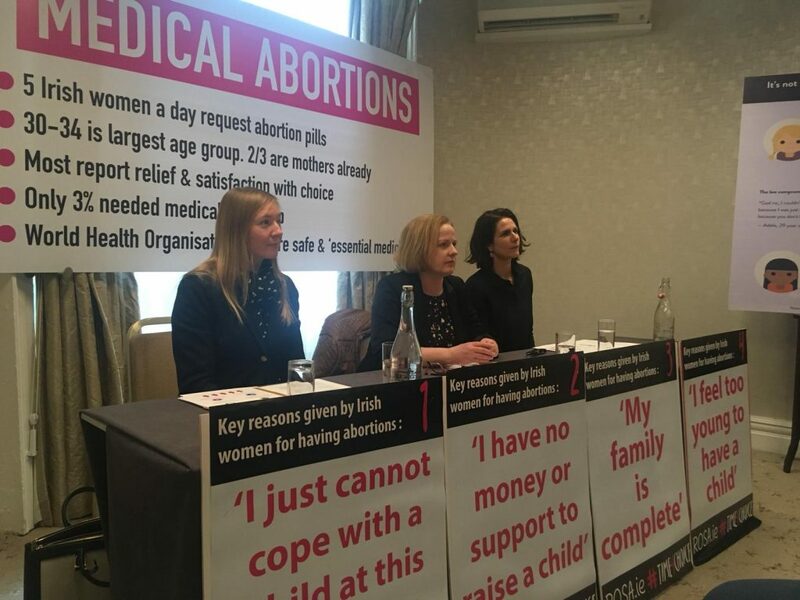 Solidarity TD Ruth Coppinger, joined by Dr Abigail Aiken and Dr Rebecca Gomperts, held a press conference on Tuesday afternoon to discuss research conducted which confirms that abortion pills are safe and remain a "positive experience" for most Irish women. 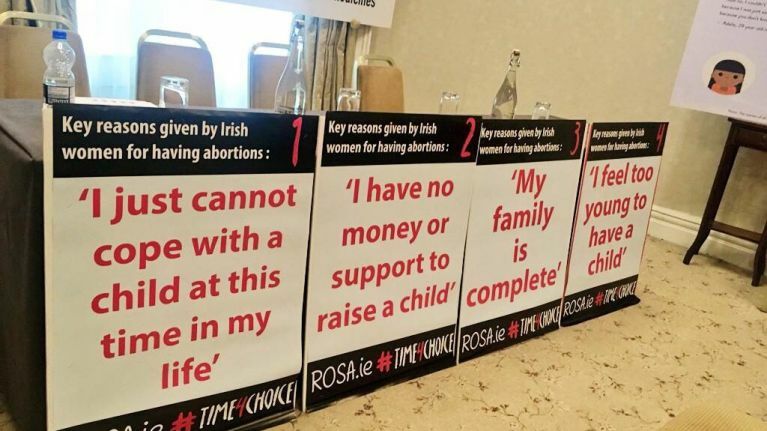 The briefing, which took place off-site because of the Dáil's current stance against holding abortion-related conferences in parliamentary buildings, was held ahead of an information briefing for all TDs and Senators regarding the major impact use of the pills has had on changing the views of Oireachtas members and government ministers. 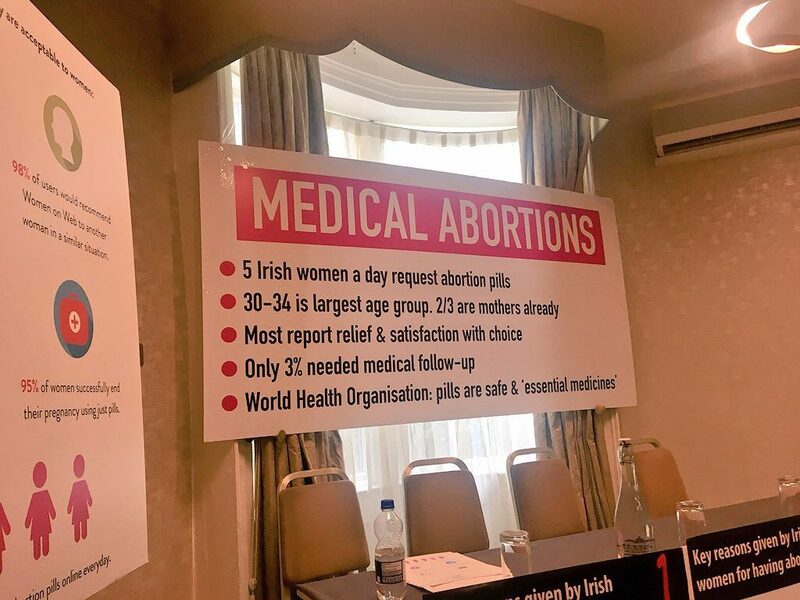 From the board room of Buswell's Hotel, the experts presented research showing that about five women a day from the Republic of Ireland now contact telemedicine sites for medical abortion services. Aiken and Gomperts also added that they believed a further two people from Northern Ireland also request telemedicinal services daily. Dr Aiken, a Harvard graduate and Texas University professor, began the talk by referencing the extensive research she'd conducted on the outcomes of medication abortion. Aiken interviewed 1,000 women who'd made use of the Women On Web service between 2010 and 2012. Women On Web, according to its website, is a digital community of women who have had abortions, medical doctors, researchers, and individuals and organisations that support abortion rights. It is an international collective that answers thousands of help-emails every day in many languages from women around the world. The multi language help-desk is supervised by medical doctors. 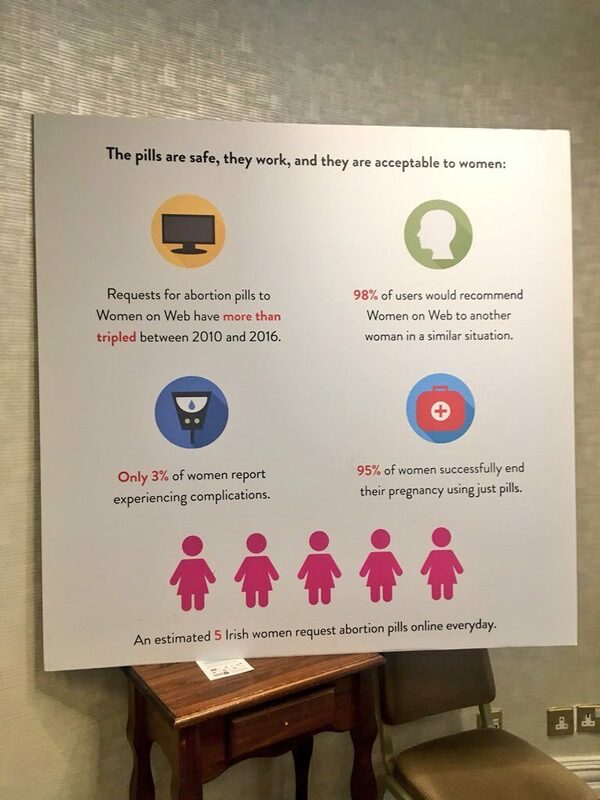 Aiken and her team found that during that time period, the number of women requesting abortion information had more than tripled from 548 in 2010 to 1,748 in 2016. This research allows Aiken and her team to estimate that five women from the Republic request medication abortion through online telemedicine every day. Through their extensive research, Aiken and her team also found that of the women who have requested such medication, 63% of them are already mothers, ranging in age from 30 - 34. Aiken cited that this may be due to the fact that a mother may not have time to travel, due to her children, and opts for the at-home service instead. Financial capacity was also mentioned. Women facing crisis pregnancies cite a number of reasons as to why they request an abortion. According to Aiken, oftentimes these women don't have the "social, emotional or financial resources" to continue with a pregnancy and bring up a child. Of the 1,000 women studied, 95% of them were found to be able to complete their abortion with the sole use of medication abortion. Abortion through the use of medication may be obtained by the use of two pills. First is Mifepristone, a hormone which blocks the production of progesterone – a hormone needed during pregnancy. Second is Misoprostol, a prostaglandin which causes contractions of the womb, similar to a miscarriage. Gomperts' research highlights that a medical abortion has the same health impact as a spontaneous miscarriage. She even argued that the use of abortion pills may even be deemed safer than a miscarriage, as you can plan it out rather than watch it unfurl spontaneously. Due to current law, Dr Aiken found that due to high levels of stress and feelings of shame, the majority of the women who sought abortion during a crisis pregnancy felt they could not go to their doctor with their struggles for fear of being judged or criminalised. 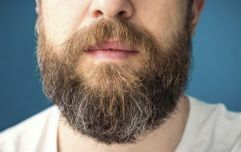 Those who felt they could tell no one turned to other methods that would be considered ineffective or blatantly unsafe ranging from trying Vitamin C or herbal remedies to drinking alcohol, getting someone to punch them in the stomach or attempting to fall down a flight of stairs. Aiken used these examples to showcase that it isn't the medication abortion that is the problem, it is, in fact, the impacts of the law on the woman. Dr Gomperts, the medical director of Women On Web, then went on to dispel some misinformation about abortion pills, including claims that their combined use can cause a myriad of problems spanning from mental health issues to breast cancer. Gomperts confirmed via her research that there are no records of mental health problems being caused by an abortion. As for the claim that medication abortion can cause breast cancer, Gomperts referred to this as "another lie spread by the anti-abortion groups". She went on to assure that an abortion obtained medically involves the same health complications as a miscarriage. Gomperts explained that pregnancy in itself is a health issue, with many women suffering from a number of ailments including high blood pressure or thrombosis. 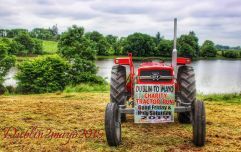 And while the mortality rate in Ireland is very low, she did confirm that one in 12,500 women are dying while giving birth every year. She went on to say that an early abortion is by far the safer option in comparison with continuing a pregnancy and having a child. The mortality, Gomperts continued, of very early medical abortion is less than one in half a million - a figure that she compared to as "safer than driving a car".